A chance to acquire a beautiful two bedroom apartment with direct views over South Dock Marina, meaning you can enjoy those morning coffees or that evening wine over a picturesque and tranquil setting. Located within Surrey Quays, Rope street is only a short walk from the overground station which, in only a few stops, services the tube, DLR and soon to arrive cross rail station, meaning getting around the capital has never been easier. The apartment doesn't just offer an impressive view, but a stylish finish and a functional layout that leads to space in each and every room. The reception is bright and airy due to it's south facing aspect and benefits from being separate to the kitchen. 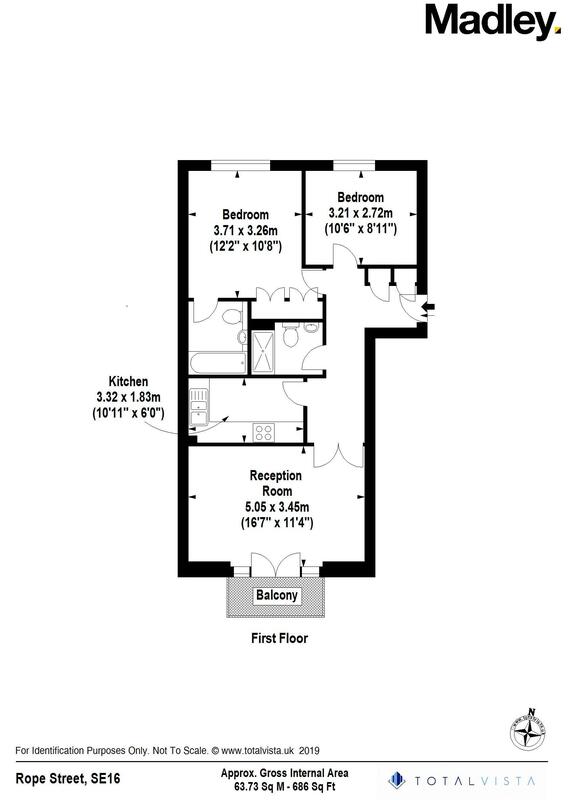 Both bedrooms are good size doubles, with the master including built-in wardrobe space and an en-suite bathroom. The en-suite and separate bathroom display a smart finish that is a consistent theme of this homely two bedroom property. This location is only moments from an array of local cafes, shops and riverside restaurant and bars. Canada Water tube station is within walking distance and, for those rainy days, regular buses run to the station only moments from the property. Secure underground parking also included. For those who aren't a fan of the tube, Greenland Pier is only moments from the property and services Canary Wharf pier in 4 minutes and Tower Millenium Pier in 13 minutes.